Manhattan is a city in northeastern Kansas in the United States, located at the junction of the Kansas River and Big Blue River. It is the county seat of Riley County, although it also extends into Pottawatomie County. As of the 2010 census, the city population was 52,281. It is the principal city of the Manhattan metropolitan area which, as of 2013, had an estimated population of 98,085. The city was founded by settlers from the New England Emigrant Aid Company as a Free-State town in the 1850s, during the Bleeding Kansas era. Nicknamed "The Little Apple" as a play on New York City's "Big Apple", Manhattan is today best known as being the home of Kansas State University and has a distinct college town atmosphere. Eight miles (13 km) west of the city is Fort Riley, a United States Army post. The town was named an All-American City in 1952, becoming the first city in Kansas to win the award. More recently, in 2007 CNN and Money magazine rated Manhattan as one of the ten best places in America to retire young. And in 2011 Forbes rated Manhattan No. 1 for "Best Small Communities for a Business and Career." Before settlement by European-Americans in the 1850s, the land where Manhattan currently sits was long home to Native American tribes. Most recently, from 1780 to 1830 it was home to the Kaw people (also known as the Kansa). The Kaw settlement was called Blue Earth Village (Manyinkatuhuudje). It was named after the river the tribe called the Great Blue Earth River – today known as the Big Blue River – which intersected with the Kansas River by their village. Blue Earth Village was the site of a large battle between the Kaw and the Pawnee in 1812. The Kaw tribe ceded ownership of this land in a treaty signed at the Shawnee Methodist Mission on January 14, 1846. The Kansas-Nebraska Act officially opened the territory to settlement by U.S. citizens in 1854. That fall, George S. Park founded the first Euro-American settlement within the borders of the current Manhattan. Park named it Polistra (some histories refer to it as Poliska or Poleska). Later that same year, Samuel D. Houston and three other pioneers founded a neighboring community near the mouth of the Big Blue River that they named Canton. Neither Canton nor Polistra ever grew to include anyone beyond their original founders. In March 1855, a group of New England Free-Staters traveled to Kansas Territory under the auspices of the New England Emigrant Aid Company to found a Free-State town. Led by Isaac Goodnow, the first members of the group (with the help of Samuel C. Pomeroy) selected the location of the Polistra and Canton claims for the Aid Company's new settlement. Soon after the New Englanders arrived at the site, in April 1855, they agreed to join together with Canton and Polistra to make one settlement named Boston. They were soon joined by dozens more New Englanders, including Goodnow's brother-in-law Joseph Denison. In June 1855, the paddle steamer Hartford, carrying 75 settlers from Ohio, ran aground in the Kansas River near the settlement. The Ohio settlers, who were members of the Cincinnati-Manhattan Company, had been headed twenty miles (32 km) further upstream to the headwaters of the Kansas River, the location today of Junction City. After realizing they were stranded, the Hartford passengers accepted an invitation to join the new town, but insisted that it be renamed Manhattan, which was done on June 29, 1855. Manhattan was incorporated on May 30, 1857. Early Manhattan settlers sometimes found themselves in conflict with Native Americans, and the town itself was threatened by pro-slavery Southerners. Manhattan was staunchly Free-State – and in fact elected the only two Free-State legislators to the first Territorial Legislature, commonly called the "Bogus Legislature." However, the proximity of Fort Riley protected the settlement from the major violence visited upon other Free-State towns during the "Bleeding Kansas" era. This allowed the town to develop relatively quickly. On January 30, 1858, Territorial Governor James W. Denver signed an act naming Manhattan as county seat for Riley County. Ten days later, on February 9, 1858, Governor Denver chartered a Methodist college in Manhattan, named Blue Mont Central College. The young city received another early boost when gold was discovered in the Rocky Mountains in 1859 and Fifty-Niners began to stream through Manhattan on their way to prospect in the mountains. Manhattan was one of the last significant settlements on the route west, and the village's merchants did a brisk business selling supplies to miners. That same year Manhattan's first newspaper, The Kansas Express, began publishing on May 21, 1859. In 1861, when the State of Kansas entered the Union, Isaac Goodnow, who had been a teacher in Rhode Island, began lobbying the legislature to convert Manhattan's Blue Mont Central College into the state university. The culmination of these efforts came on February 16, 1863, when the Kansas legislature established Kansas State Agricultural College (now Kansas State University) in Manhattan. 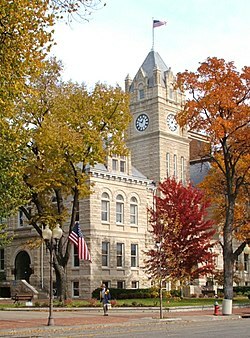 When the college opened for its first session on September 2, 1863, it was the first public college in Kansas, the nation's first land-grant institution created under the Morrill Act, and only the second public institution of higher learning to admit women and men equally in the United States. By the time the Kansas Pacific Railroad laid its tracks west through Manhattan in 1866, the 11-year-old settlement was permanently ensconced in the tallgrass prairie. Manhattan has continuously increased in population every decade since its founding. Manhattan is located at 39°11′25″N 96°35′13″W﻿ / ﻿39.19028, -96.58694 (39.190142, −96.586818), or about 50 miles (80 km) west of Topeka on the Kansas River. According to the United States Census Bureau, the city has a total area of 18.79 square miles (48.67 km2), of which, 18.76 square miles (48.59 km2) is land and 0.03 square miles (0.08 km2) is water. Manhattan is located in the Flint Hills region of Kansas, which consists of continuous rolling hills covered in tall grasses. However, the current downtown area – the original site of Manhattan – was built on a broad, flat floodplain at the junction of the Kansas and Big Blue rivers. Manhattan is largest town in the Flint Hills, and is home to the Flint Hills Discovery Center. Tuttle Creek Reservoir is located 5 miles (8 km) north of Manhattan. The lake was formed when the Big Blue River was dammed for flood control in the 1960s, and it is now a state park that offers many recreational opportunities. South of the city is the Konza Prairie, a tallgrass prairie preserve jointly owned by The Nature Conservancy and Kansas State University. Kansas is not known for earthquake activity, but Manhattan is near the Nemaha Ridge, a long structure that is bounded by several faults, and which is still active. In particular, the Humboldt Fault Zone lies just 12 miles (19 km) eastward of Tuttle Creek Reservoir. On April 24, 1867, the 1867 Manhattan earthquake struck Riley County. Measuring 5.1 on the Richter scale, the earthquake's epicenter was by Manhattan. To this day, it remains the strongest earthquake to originate in Kansas. The earthquake had an intensity of VII on the Mercalli intensity scale, and was felt over an area of roughly 193,051 square miles (500,000 km2). It caused largely minor damage, reports of which were confined to Kansas, Iowa, and Missouri, according to the United States Geological Survey. Despite the fact that Kansas is not seismically active, a strong earthquake could pose significant threats to the state. If an earthquake had occurred along the Nemaha Ridge prior to 2010, it could have destroyed the dam on Tuttle Creek Reservoir, releasing 300,000 feet (91,440 m) of water per second and flooding the nearby area, threatening roughly 13,000 people and 5,900 homes. A study in the 1980s found that a moderate earthquake "between 5.7 to 6.6 would cause sand underneath the dam to liquefy into quicksand, causing the dam to spread out and the top to drop up to three feet." To address this threat, the Army Corps of Engineers completed a project in July 2010 that replaced the sand with more than 350 concrete walls and equipped the dam with sensors. Alarms are connected to these sensors, which would alert nearby citizens to the earthquake. Manhattan lies in the transition between the humid continental (Köppen Dfa) and humid subtropical climate (Köppen Cfa) zones, typically experiencing hot, humid summers and cold, dry winters. The monthly daily average temperature ranges from 29.1 °F (−1.6 °C) in January to 79.9 °F (26.6 °C) in July. The high temperature reaches or exceeds 90 °F (32 °C) an average of 58 days a year and 100 °F (38 °C) an average of 10 days. The minimum temperature falls to or below 0 °F (−18 °C) on an average 5.3 days a year. Extreme temperatures range from 116 °F (47 °C) on August 13, 1936 down to −35 °F (−37 °C) on February 12, 1899. On average, Manhattan receives 35.7 inches (907 mm) of precipitation annually, a majority of which occurs from May to August, and records 102 days of measurable precipitation. Measurable snowfall occurs an average of 9.6 days per year with 6.1 days receiving at least 1.0 inch (2.5 cm). Snow depth of at least one inch occurs an average of 22 days a year. Typically, the average window for freezing temperatures is October 12 through April 21. The state of Kansas falls within an area sometimes called Tornado Alley. The most recent tornado in Manhattan touched down at approximately 10:30 pm on June 11, 2008. Thirty-one homes and several businesses were destroyed by the EF4 tornado. Additionally, Kansas State University's campus incurred about $20 million in damage – a number of university buildings sustained significant damage and the Wind Erosion Laboratory's garage was destroyed by the tornado's winds. No one was killed. Previously, the most destructive tornado to hit Manhattan was on June 8, 1966. The 1966 tornado caused $5 million in damage and injured at least 65 people in Manhattan. Manhattan was built on a floodplain at the junction of the Kansas and Big Blue rivers, and it has faced recurring problems with flooding during times of heavy precipitation. The largest floods in the town's history were the 1903 and 1908 floods, the Great Flood of 1951 and the Great Flood of 1993. As of the census of 2010, there were 52,281 people, 20,008 households, and 9,466 families residing in the city. The population density was 2,786.8 inhabitants per square mile (1,076.0 /km2). There were 21,619 housing units at an average density of 1,152.4 per square mile (444.9 /km2). The racial makeup of the city was 83.5% White, 5.5% African American, 0.5% Native American, 5.1% Asian, 0.2% Pacific Islander, 1.7% from other races, and 3.5% from two or more races. Hispanic or Latino of any race were 5.8% of the population. There were 20,008 households of which 22.3% had children under the age of 18 living with them, 36.0% were married couples living together, 8.2% had a female householder with no husband present, 3.1% had a male householder with no wife present, and 52.7% were non-families. 30.3% of all households were made up of individuals and 5.9% had someone living alone who was 65 years of age or older. The average household size was 2.30 and the average family size was 2.82. In the city the population was spread out with 15.3% of residents under the age of 18; 39.1% between the ages of 18 and 24; 24% from 25 to 44; 14.2% from 45 to 64; and 7.5% who were 65 years of age or older. The median age in the city was 23.8 years. The gender makeup of the city was 50.9% male and 49.1% female. As of the census of 2000, there were 44,831 people, 16,949 households, and 8,254 families residing in the city. The population density was 2,983.9 people per square mile (1,152.4/km²). There were 17,690 housing units at an average density of 1,177.4 per square mile (454.7/km²). The racial makeup of the city was 87.28% White, 4.86% African American, 0.48% Native American, 3.93% Asian, 0.07% Pacific Islander, 1.30% from other races, and 2.07% from two or more races. Hispanic or Latino of any race were 3.49% of the population. There were 16,949 households out of which 22.7% had children under the age of 18 living with them, 39.6% were married couples living together, 6.6% had a female householder with no husband present, and 51.3% were non-families. 30.5% of all households were made up of individuals and 6.3% had someone living alone who was 65 years of age or older. The average household size was 2.30 and the average family size was 2.89. In the city the population was spread out with 15.8% under the age of 18, 39.2% from 18 to 24, 24.0% from 25 to 44, 13.2% from 45 to 64, and 7.8% who were 65 years of age or older. The median age was 24 years. For every 100 females there were 106.4 males. For every 100 females age 18 and over, there were 105.4 males. The median income for a household in the city was $30,463, and the median income for a family was $48,289. Males had a median income of $31,396 versus $24,611 for females. The per capita income for the city was $16,566. About 8.7% of families and 24.2% of the population were below the poverty line, including 10.1% of those under age 18 and 7.8% of those age 65 or over. However, traditional measures of income and poverty can be misleading when applied to cities with high student populations, such as Manhattan. Manhattan is governed under a council-manager system, with a City Commission consisting of five members. Elections are nonpartisan and are held every other year, in odd-numbered years. Three City Commission positions are chosen in each election. The two highest vote recipients receive four-year terms, while the third highest vote recipient receives a two-year term. The highest vote winner in a general election is established to serve as mayor on the third year of a four-year term. The Mayor presides over Commission meetings, but has the same voting rights as other Commissioners and no veto power. As of December 2014, Wynn Butler serves as the city's mayor, while Karen McCulloh, Usha Reddi, Richard (Rich) B. Jankovich, and John Matta make up the rest of the City Commission. Manhattan is located inside a number of state district boundaries. Most of Manhattan falls within two districts for the Kansas House of Representatives. Representative Tom Phillips (R) serves in District 67, which includes portions of south, west, and northern Riley County. Representative Sydney Carlin (D) represents District 66, which includes most of downtown Manhattan, and the northeastern portions of the city. Small portions of Manhattan extend into other districts to the south and north. Manhattan is the Kansas Senate District 22, and the state senator is Democrat Tom Hawk. Manhattan is located in Kansas's 1st congressional district, which is represented by Republican Tim Huelskamp. Manhattan was moved from the 2nd District to the 1st District during redistricting in 2012. Manhattan was originally placed in the 1st District when the state was first districted in 1874, and Manhattanite John Alexander Anderson served as the district's second Congressman, from 1879 to 1885. For federal elections, precise breakdowns are unavailable for only Manhattan, but a majority of voters in Riley County have never supported a Democratic candidate for President. Republicans have carried Riley County every presidential election, except for 1912, when a majority of the county's voters supported the Progressive candidate Theodore Roosevelt. Manhattan is the site of Kansas State University sporting events, Aggieville, performing arts, lecture series and the annual Country Stampede Music Festival – the largest music festival in Kansas. Bill Snyder Family Football Stadium in Manhattan. The stadium seats 50,000 spectators. The Marianna Kistler Beach Museum of Art and the Kansas State University Gardens are located on the campus of Kansas State University. Next to campus is Aggieville, a shopping and retail center with enough bars to satisfy the college crowd. Aggieville is also home to the longest continuously-operating Pizza Hut restaurant in the world. Manhattan's Sunset Zoo is accredited by the Association of Zoos and Aquariums (AZA). Colbert Hills Golf Course, which is annually ranked by Golf Digest among the best in the state, is home to the Earl Woods National Youth Golf Academy and a host site for the First Tee program. Manhattan is also the birthplace of Damon Runyon, the "Inventor of Broadway," and his Manhattan house is listed on the National Register of Historic Places. The buildings which house The Flint Hills Job Corps Training Center west of the city were once used as a nursing home and orphanage operated by the Fraternal Order of Odd Fellows. The first capitol of the Kansas Territory is preserved nearby, on Fort Riley grounds. The Fort Riley military base covers 100,656 acres (407.340 km2) between Manhattan and Junction City, KS. Since 2006 it has, once again, become home to the Big Red One, the 1st Infantry Division of the United States. As the largest municipality in the Flint Hills region, Manhattan is host to the Flint Hills Discovery Center, a heritage and science center dedicated to the education and preservation of the Flint Hills and the remaining tall grass prairie. Manhattan's economy is heavily based on public entities. Kansas State University is the largest employer in town, and its approximately 25,000 students help support the retail and entertainment venues in the city. The second-largest employer in Manhattan is the city school district. Additionally, many civilians and military personnel employed at nearby Fort Riley also live in Manhattan and support its economy, including more than 5,500 civilian Fort Riley employees. Finally, most of the 150 employees in the Kansas Department of Agriculture work in a new office building in Manhattan, next to the future site of the National Bio and Agro-Defense Facility. Large private sector employers in Manhattan include the Mercy Regional Health Center and Farm Bureau. Manhattan also features a small industrial base. Manufacturing and commercial businesses include: Auth-Florence Manufacturing, GTM Sportswear, The McCall Pattern Company, Parker Hannifin, ICE Corporation, Manko Windows, CivicPlus and Farrar Corporation. Manhattan's Tallgrass Brewing Co is the largest brewery in Kansas, and is in the process of expanding into a larger space. In 2009, the United States Department of Homeland Security announced that it would locate the National Bio and Agro-Defense Facility (NBAF) in Manhattan. The NBAF is scheduled to open in 2020, and will be a federal lab to research biological threats involving human, zoonotic (i.e., transmitted from animals to humans) and foreign animal diseases. It is expected to employ between 250–350 people, including researchers, technical support and operations specialists. The Dickinson Theatres chain began in Manhattan in 1920, although it no longer operates a theater in the city. The Steel & Pipe Supply Co. began in Manhattan in 1933, and is still headquartered in the city, but has moved its fabrication and distribution to other locations. Kansas State University is the largest employer and educational institution in the city of Manhattan with nearly 25,000 students. KSU is home to Wildcat sports, as well as a host to nationally recognized academics. Kansas State University has ranked first nationally among state universities in its total of Rhodes, Marshall, Truman, Goldwater, and Udall scholars since 1986. Manhattanites are said to "Bleed purple" due to their pride in Kansas State athletics. Manhattan is also home to Manhattan Christian College, Manhattan Area Technical College, the American Institute of Baking and The Flint Hills Job Corps Training Center, and the Kansas Building Science Institute. Manhattan is served by USD 383 Manhattan-Ogden and has one public high school with two campuses (Manhattan High School), two middle schools (Susan B. Anthony and Dwight D. Eisenhower), and eight elementary schools (Amanda Arnold, Frank V. Bergman, Bluemont, Lee, Marlatt, Northview, Theodore Roosevelt and Woodrow Wilson). The city also has two private school systems: Flint Hills Christian School (Preschool – 12th grade) and the Manhattan Catholic Schools. Manhattan Catholic School contains two buildings, the grade school building (K-5)and the Luckey Jr. High building (6–8), formerly called the Luckey high building dedicated to Monsignor Luckey. The school's mascot is "Luckey the Cardinal". Culture in the city of Manhattan is largely defined by Kansas State University students. The city is normally full of activity while school is in session. Due to the city's vitality, the city was rated by CNN Money as one of the top ten places to retire young. There are a number of cultural hot spots around the city that make it as vibrant as it is. Aggieville – Aggieville is the hub of Manhattan's nightlife. Due to its large number of bars and shops, the district is frequented by college students and citizens alike. Aggieville's bars play host to numerous bands on a nightly basis. Nearby, the Marianna Kistler Beach Museum of Art on the K-State campus is home to KSU's permanent art collection and traveling art exhibits. Entry to the museum is free of charge. Kansas State's McCain Auditorium, which draws major performances and tours from across the globe, is also located near Aggieville. Downtown – Downtown Manhattan, and the Manhattan Town Center Mall, is an anchor for shopping and entertainment in the eastern portions of Manhattan. Art galleries, fine dining options, and shopping are all major daytime draws to the area. The Manhattan Town Center Mall was built in the late 1980s and is located on the east edge of downtown. Kansas State Sports – Bill Snyder Family Football Stadium, Bramlage Coliseum, and other sports venues relating to the university host events every week in their respective sports seasons, drawing fans from across the country. The facilities are sometimes used for lectures, concerts, and other non-sporting events. Fake Patty's Day – Every Year, usually a week or two before St. Patrick's Day, Aggieville becomes a scene of festivity, celebrating 'Fake Patty's Day'. The event has been around for many years, and has recently been adopted by the licensed venues of Aggieville to avoid missing out on revenue garnered from St. Patrick's Day, which usually falls a week before spring break. There are also a number of events and conventions held every year, such as Juneteenth Celebration, the Country Stampede Music Festival and the Great Manhattan Mystery Conclave. Manhattan is served by numerous transportation methods. Manhattan Regional Airport is located 4 kilometres (2 mi) west of Manhattan on K-18. The airport is served by American Airlines subsidiary American Eagle, which offers multiple flights daily to Chicago's O'Hare International Airport and the Dallas/Fort Worth International Airport, as well as handling general aviation and charter flights. The nearest large commercial airports are in Kansas City (MCI) and Wichita, Kansas (ICT), both are more than two hours' driving distance from Manhattan. Domestic passenger rail service to Manhattan began on August 20, 1866, on the Kansas Pacific Railroad line. A mainline of the Union Pacific Railroad still passes through the city, but all passenger service to Manhattan was discontinued after the Amtrak takeover of passenger rail in 1971. The Rock Island Railroad also formerly served Manhattan as a stop on Rock Island's Kansas City–Colorado Springs Rocky Mountain Rocket service. The Rock Island depot was located between Fifth and Sixth streets, along former El Paso Street (now Fort Riley Boulevard). The former railroad right-of-way was converted to Manhattan's southern arterial road as well as a rail-trail, linear park along Manhattan's west side. Intercity bus service, previously provided by Greyhound Lines, was discontinued years ago. However, Arrow Stage Line operates charter service out of local facilities on McCall Road. Also, KCI Roadrunner provides charter service as well as scheduled shuttle service to and from Kansas City International Airport (KCI), Lawrence, Topeka, Junction City, Fort Riley, and Manhattan. Within the City of Manhattan, limited mass-transit is provided by Riley County's subsidized paratransit service, ATA Bus. ATA Bus recently started its first set-route bus route in Manhattan connecting an apartment complex and an office campus, and is currently working with the city to develop a feasible mass-transit system. ATA uses four small buses and a number of minivans in its fleet. Five twenty-passenger transit buses have been purchased for fixed-route service and the agency is awaiting operational funding from Kansas State University and the City. Historically, the city operated a streetcar system from 1909 to 1928. The trolley tracks were torn up and replaced by bus service in 1928, which was later also discontinued. Template:Jct/2 runs about 9 miles (14 km) south of Manhattan. Three exits have a direct connection to Manhattan. US-24 runs through Manhattan. East on 24 is Wamego, west is Clay Center. US-24 comes in from Clay Center, runs north of the city, turns into a four-lane highway near Tuttle Creek State Park and travels south into the city as Tuttle Creek Boulevard until an intersection with East Poyntz Avenue, and then turns northeast towards Wamego. K-177 runs north from I-70 as Bill Snyder Highway until the Kansas River viaduct. A half-leaf interchange with K-18 (Tuttle Creek Blvd. and Ft. Riley Blvd.) and officially ends at the intersection with U.S. Route 24 in Manhattan. K-18 is a major connector in Manhattan. It begins about 18 miles (29 km) east of Manhattan, at K-99. It runs through Wabaunsee and Zeandale to K-177, crosses to Kansas River, and runs west toward the Manhattan Regional Airport and Ogden. It then travels south to I-70 as a major gateway to Manhattan. K-113 (Seth Child Road) runs from K-18 in southern Manhattan to US-24, passing through the western areas of the City. Historically, Manhattan was located on the national Victory Highway, one of the original 1920s auto trails. With the creation of the numbered federal highway system in 1926, the highway became U.S. Route 40. From 1926 to 1935, Route 40 diverged west out of Manhattan into "40N" and "40S" routes; the two routes met again in Limon, Colorado. In the 1950s, Route 40 was rerouted nine miles south of Manhattan, due to concerns that originally arose during World War II about the highway passing through neighboring Fort Riley. The new route followed a more direct line between Topeka and Junction City, and in 1956 it was designated as Interstate 70. The Manhattan Mercury is the city's main newspaper, published six days a week. Other newspapers published in the city include: the alternative weekly The Hype Weekly which focuses on events, arts, and culture in the area; the weekly Manhattan Free Press; the agriculture-oriented Grass & Grain; and the K-State university newspaper, the Kansas State Collegian. Manhattan has had at least one newspaper published for the town continuously since The Kansas Express published its first edition on May 21, 1859. Manhattan is a center of broadcast media for the surrounding area. One AM and ten FM radio stations are licensed to and/or broadcast from the city. Manhattan lies within the Topeka, Kansas television market, and six stations are licensed to and/or broadcast from the city including: a translator of KTWU, the PBS member station in Topeka; K-State's station KKSU-LP; two GCN translators; and two independent stations. The first television station in Kansas was W9XAK in Manhattan, licensed to broadcast by the Federal Radio Commission on March 9, 1932. 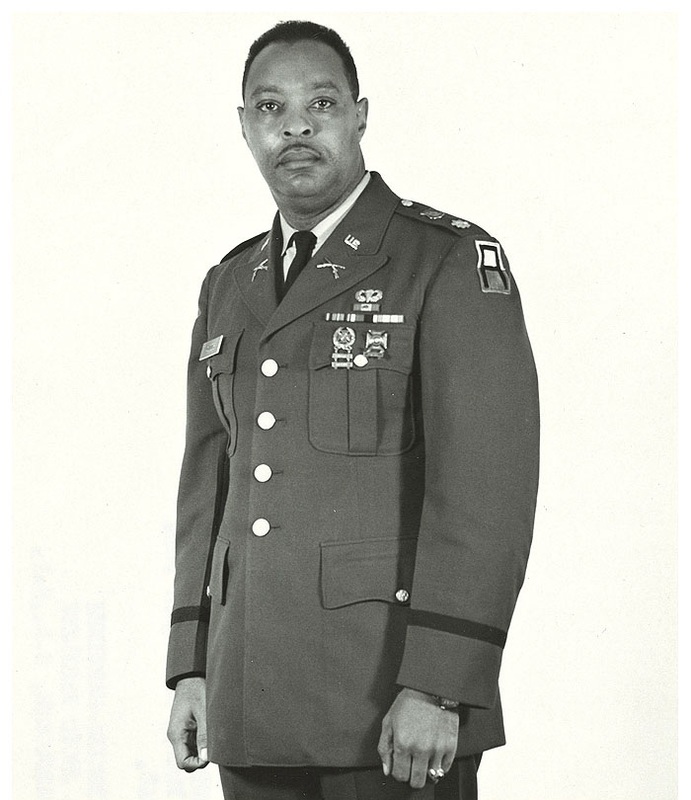 Lieutenant Colonel Earl Woods played baseball for Kansas State before joining the military. David Grandison Fairchild was a botanist and plant explorer. Fairchild was responsible for the introduction of more than 200,000 exotic plants and varieties of established crops into the United States, including soybeans, pistachios, mangoes, nectarines, dates, bamboos, and flowering cherries. Albert Edward Mead was the fifth Governor of Washington and served in that position from 1905 to 1909. Jordy Nelson is an American football wide receiver for the Green Bay Packers of the National Football League (NFL). He played college football for Kansas State University, and received All-American honors. Nelson was drafted in the second round of the 2008 NFL Draft. Cassandra Peterson, an actress best known for her on-screen horror hostess character Elvira, Mistress of the Dark, was born in Manhattan. She gained fame on Los Angeles television station KHJ wearing a black, gothic, cleavage-enhancing gown as host of Movie Macabre, a weekly horror movie presentation. Edward Seaton served as chair of the Pulitzer Prize Board in 2000. He also served on the Pulitzer Prize Board in 1993, 1994, 1995, 1996, 1997, 1998, 1999, and 2001. Seaton serves as Editor-in-Chief of The Manhattan Mercury and has served as chair of the prominent Landon Lecture Series at Kansas State University. Fred Andrew Seaton was an American newspaperman and politician.who represented Nebraska in the U.S. Senate and served as United States Secretary of the Interior during Dwight D. Eisenhower's administration. Bill Snyder, at Kansas State, was recognized in 1998 as the National Coach of the Year by the Associated Press and the Walter Camp Football Foundation, and was awarded the Bear Bryant Award and the Bobby Dodd Coach of the Year Award. Earl Woods was a US Army infantry officer who served two tours of duty in Vietnam, and retired with the rank of lieutenant colonel. He was a college-level baseball player and writer, but is best remembered for teaching his son Tiger Woods to golf at a very early age, and coached him exclusively for his first years in the sport. In August 2004 the Manhattan City Commission approved a resolution establishing an advisory committee to explore and foster a formal partnership with an international city. In 2005, following a lengthy planning effort guided by Dr. Joseph Barton-Dobenin, a Czech native and now-retired professor at Kansas State University, then-Commissioner Ed Klimek visited Dobřichovice to initiate a partnership with that city. Following Klimek's visit, a number of Dobřichovice community leaders visited Manhattan to continue the effort towards establishing the formal relationship. In 2006, the Committee recommended, and the City Commission chose, the City of Dobřichovice as its partner city, and in April, then-Mayor Ed Klimek signed a Partner Cities Agreement to formally make the two cities partner cities. The eponymous character in Raymond Chandler's 1949 novel The Little Sister is from Manhattan. Kenneth S. Davis's 1951 novel Morning in Kansas is set in Manhattan (called New Boston in the book). In 1972, Glen Campbell recorded a No. 6 hit on the Country Music Charts with his song "Manhattan, Kansas." The 1975 documentary film Banjoman captures a concert held in Manhattan on January 20, 1973, to honor Earl Scruggs. The concert included performances by Joan Baez, David Bromberg, The Byrds, Ramblin' Jack Elliott, The Nitty Gritty Dirt Band, and Doc and Merle Watson. Manhattan features in Vernor Vinge's 1985 science-fiction novella The Ungoverned. The main character in Sydney Sheldon's 1987 novel Windmills of the Gods starts out as a professor at Kansas State University in Manhattan. Manhattan is a principal setting for the 1992 novel Was, by Geoff Ryman, a contemporary examination of The Wonderful Wizard of Oz. W.E.B. Griffin mentions Manhattan as the hometown of a main character in his Brotherhood of War. The plot of the failed 1993 CBS television pilot The Elvira Show revolves around two witches, played by Elvira and Katherine Helmond, moving to Manhattan with their talking cat. The opening scene for the trailer to the 2004 film Friday Night Lights is Poyntz Avenue in downtown Manhattan; this was stock footage purchased for the trailer. A 2006 documentary film Manhattan, Kansas by Tara Wray, is about her mentally unstable mother, who lives in the area. A 2013 independent film called Manhattan is a romantic comedy set in Manhattan, Kansas, and loosely based on the 1979 film Manhattan. Manhattan features prominently in the 2014 novel Bill$ by visual artist Skivvy Jones. ^ Hook, J. N. (10 June 2014). All Those Wonderful Names. Open Road Media. p. 255. ISBN 978-1-4976-1186-3. http://books.google.com/books?id=rIq4AwAAQBAJ&pg=PT255. ^ a b "Population Estimates". United States Census Bureau. http://www.census.gov/popest/data/cities/totals/2013/SUB-EST2013-3.html. Retrieved 2014-08-21. ^ "Annual Estimates of the Population of Metropolitan and Micropolitan Statistical Areas: April 1, 2010 to July 1, 2013" (HTML). United States Census Bureau. August 21, 2014. http://www.census.gov/popest/data/metro/totals/2013/index.html. Retrieved 2014-08-21. ^ a b "Best Places to Retire Young". CNN. http://money.cnn.com/galleries/2007/moneymag/0703/gallery.bp_retireyoung_new.moneymag/9.html. Retrieved 2007-10-02. ^ Badenhausen, Kurt. "Slide Show: The Best Small Places For Business And Careers". Forbes. http://www.forbes.com/2011/06/27/best-places-11-small_slide_2.html. ^ a b c d e f g h i j k l m n o Olson, Kevin (2012). Frontier Manhattan. University Press of Kansas. pp. 9–10, 25–27. ISBN 978-0-7006-1832-3. ^ a b c Parrish, Donald (2004). This Land is Our Land: The Public Domain in the Vicinity of Riley County and Manhattan, Kansas. Riley County Historical Society. ISBN 0-9677686-2-4. OCLC 54769277. ^ Streeter, Floyd Benjamin (1975). The Kaw: The Heart of a Nation. New York: Arno Press. ISBN 978-0-405-06889-8. OCLC 2180188. http://books.google.com/?id=MZEJR647HyIC. ^ Blackmar, Frank Wilson (1912). Kansas: A Cyclopedia of State History, Volume 2. Standard Publishing Company. pp. 214. http://books.google.com/books?id=Qi9cXyTWt9EC&pg=PA214#v=onepage&q&f=false. ^ Willard, Julius (1940). History of Kansas State College of Agriculture and Applied Science. Kansas State College Press. http://hearth.library.cornell.edu/cgi/t/text/pageviewer-idx?c=hearth;cc=hearth;rgn=full%20text;idno=5725255;didno=5725255;view=image;seq=0003;node=5725255%3A3. ^ (November 21, 1867) "The National Schools of Science". The Nation. ^ Merriam, Daniel F. (April 1956). "History of earthquakes in Kansas". Bulletin of the Seismological Society of America 46 (2): 87–96. ^ a b Metz, Christine (May 2, 2008). "Earthquakes in Kansas a real threat". Lawrence Journal-World. http://www2.ljworld.com/news/2008/may/02/shaking_kansas/. Retrieved February 11, 2010. ^ (March 1, 2007) "Updated Köppen-Geiger climate classification map". Hydrology and Earth System Sciences (4): 439–473. Retrieved on 2012-01-25. ^ a b c d e "NOWData – NOAA Online Weather Data". National Weather Service Forecast Office – Topeka, KS. http://www.nws.noaa.gov/climate/xmacis.php?wfo=top. Retrieved 2013-05-16. ^ Hanna, John (June 13, 2008). "Kansas residents assess damage after deadly twisters". Associated Press. http://ap.google.com/article/ALeqM5gvHC7Zr5kiY-lOpqndPZvOVefx8QD919534O2. Retrieved 2008-06-13. ^ "City Officials set Damage at $5 Million". Topeka Capital-Journal. June 10, 1966. http://www.cjonline.com/indepth/66tornado/stories/com_damageestimate.shtml. Retrieved 2008-08-13. ^ Davis, Kenneth (1953). River on the Rampage. Doubleday. ^ "Meet the City Commission". City of Manhattan. http://www.ci.manhattan.ks.us/index.aspx?NID=219. Retrieved 2011-06-26. ^ Presidential election of 1912 – Map by counties. Geoelections.free.fr. Retrieved on 2013-08-16. ^ a b c d e f g h "Kansas' Top Employers". http://www.mba-today.com/business/kansas-mba-employers.html. Retrieved 2013-04-21. ^ Hoedel, Cindy (April 12, 2014). "With throwback strategy, Manhattan's Tallgrass Brewing cans a winner". Kansas City Star. http://www.kansascity.com/2014/04/12/4955964/back-to-the-future-of-beer.html. Retrieved April 21, 2014. ^ "Facility Research & Staffing for the NBAF" (English). U.S. Department of Homeland Security. http://www.dhs.gov/xres/labs/gc_1181073261627.shtm. Retrieved 2000-04-08. ^ "K-State media guide – Enrollment numbers 1990–current" (English). http://www.k-state.edu/media/mediaguide/enrollment.html. Retrieved 2009-03-30. ^ "Manhattan Mercury". Mondo Times. http://www.mondotimes.com/1/world/us/16/928/2402. Retrieved 2011-12-16. ^ "Manhattan Kansas local news media". Mondo Times. http://www.mondotimes.com/1/world/us/16/928. Retrieved 2011-12-16. ^ "Radio Stations in Manhattan, Kansas". Radio-Locator. http://www.radio-locator.com/cgi-bin/locate?select=city&city=Manhattan&state=KS&x=0&y=0. Retrieved 2011-12-16. ^ "Topeka, Kansas (TV market map)". EchoStar Knowledge Base. http://dishuser.org/TVMarkets/City%20Maps/Topeka.gif. Retrieved 2011-11-18. ^ "TVQ TV Database Query". Federal Communications Commission. http://www.fcc.gov/fcc-bin/audio/tvq.html. Retrieved 2011-11-18. ^ "About Video Production Services". Kansas State University. http://www.k-state.edu/video/. Retrieved 2011-11-18. ^ "Early Television Stations: W9XAK – Manhattan, Kansas". Early Television Museum. http://www.earlytelevision.org/w9xak.html. Retrieved February 24, 2014. ^ "A U.S. Television Chronology: 1875–1970". http://claytwhitehead.com/ctwlibrary/Box%20070/003_Timelines%20%5B2%20of%202%5D.pdf. Retrieved February 24, 2014. ^ "Country Music Hall of Fame site". http://www.countrymusichalloffame.com/site/news_detail.aspx?cid=1493. Retrieved 2007-01-22. ^ "The Elvira Show on tv.com". http://www.tv.com/the-elvira-show/show/6439/summary.html. Retrieved 2007-01-22. ^ "IMDb "Friday Night Lights" filming locations". http://www.imdb.com/title/tt0390022/locations. Retrieved 2007-01-22. ^ ""Manhattan, Kansas" on IMDb". http://www.imdb.com/title/tt0449067/. Retrieved 2010-01-26. Olson, Kevin G. W. Frontier Manhattan: Yankee Settlement to Kansas Town, 1854–1894 (University Press of Kansas, 2012) 273 pp. This page uses content from the English language Wikipedia. The original content was at Manhattan, Kansas. The list of authors can be seen in the page history. As with this Familypedia wiki, the content of Wikipedia is available under the Creative Commons License.